Like it or not Christmas fever is in full swing and I couldn't have felt more festive when this Christmas hamper from Hotel Chocolat popped through my door. Every year Hotel Chocolat bring out a magical Christmas range with exciting new flavours, so I was more than happy to try some of the new products they've created. 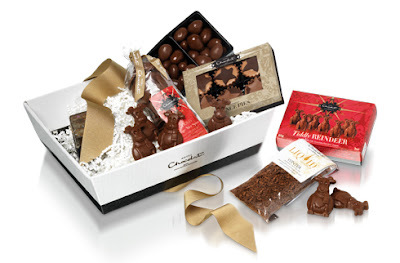 This hamper is £35 and has a huge range of festive flavored chocolates, so it's perfect if you're buying for a family, a chocaholic or someone you really love! Inside the hamper you'll find cinnamon almonds, tiddly reindeer, orange nice spice puddles, chocolate mince pies (I was most excited by these!) 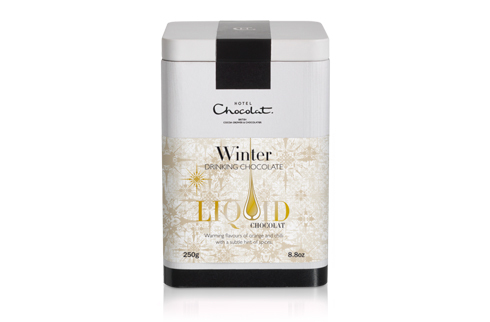 and winter liquid chocolat. The whole hamper worked really well together with lot's of different Christmas flavours like cinnamon, orange and mixed spice. The best thing about these chocolates is that you know they're all vegetarian (everything is labeled) and the chocolate is sourced and made ethically (They even have their own cocoa plantation!). They also have some AMAZING vegan chocolates which I'll put in another post. 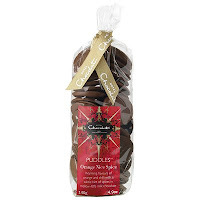 These are just perfect for christmas, they reminded me of getting hot caramlised nuts from christmas markets, but even better because they're covered in chocolate. They're wrapped in a 40% cocoa coating which makes them not too sweet but full of flavour. Be warned they are very addictive, mine disappeared very fast! 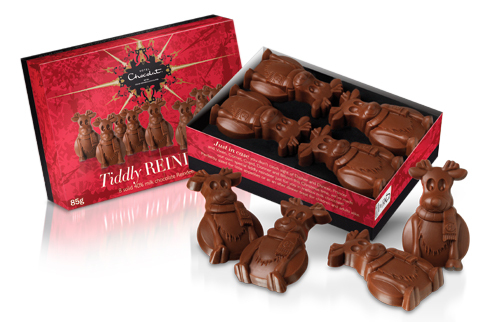 These cute little reindeer are just your standard 40% milk chocolate Christmas shapes, but they make a nice break from the spices in the other products. If you are buying this for a family, then these are the ones to give to the kids while the grown ups eat all the exciting chocolates. 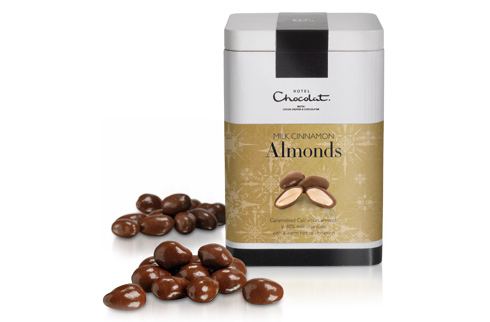 People are always so put off by chocolate and chili, but these are the perfect remedy for a cold wintery day. The main flavour that comes through is the orange with just a hint of warming spice. I slyly fed them to my boyfriend the other day and even he liked them (he doesn't like spice, fruit or strange flavours so thats saying something). This has pretty much the same flavour notes as the orange nice spice puddles but in a delicious hot chocolate. I love the liquid chocolat range because it's made with 100% yummy chocolate, no weird powder here. It does take a little bit longer to make than conventional hot chocolate (and by that I mean about 5 minutes) but it is so worth it for the proper chocolate taste. Perfect after a long cold day! I thought I'd save the best till last here! 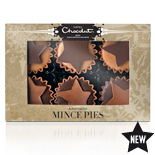 When I saw these on the website I got a bit over excited, but in all fairness they are praline and salted caramel chocolate mince pies (what's not to like there). They lived up to all my expectations, the salted caramel was smooth and topped with a lovely soft praline. Just right for a little christmas treat. If you've decided that you want to buy someone this wonderful hamper you can buy it here! And if you want to search for even more lovely chocolate gifts you can find them here!